Home Culture Why do people still use fax machines? 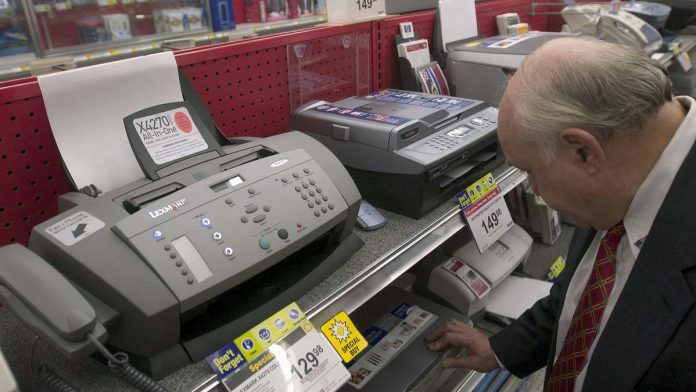 Fax machines aren't obsolete yet (Representational image) | Daniel Acker/Bloomberg News. Even parts of the federal government preferred faxes over email for many years thereafter. Not until 2010 did the Drug Enforcement Agency allow electronic signatures for Schedule II drugs like Ritalin and opiates, which comprised about 10 percent of all prescriptions. That meant a pharmacist could accept a faxed prescription but not one scanned and sent by email.Fax’s longevity also benefits greatly from reluctance – both legal and social – to accept email as secure and an emailed electronic signature as valid. Faxed signatures became legally accepted in the late 1980s and early 1990s in a series of legal and administrative decisions by state and federal agencies. The Electronic Signatures Act in 2000 also gave digital signatures legal power but institutional and individual acceptance followed only slowly – if at all. This article was originally published on TheConversation. You can read the original article here. Previous articleWhy do many Americans support legalising marijuana?